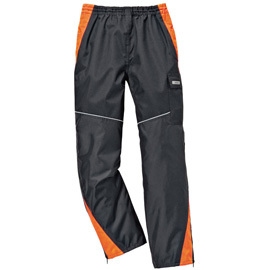 The RAINTEC weatherproof pant by STIHL offers customers unmatched comfort in wet challenging conditions. The functional and breathable polyurethane outer fabric is both water and thorn resistant. The “Action Arctic” material in high wear areas will ensure the RAINTEC pants hold up under a variety of stress. The pants also offer a convenient thigh pocket.